The passacaglia is a musical form that originated in early seventeenth-century Spain and is still used by contemporary composers. It is usually of a serious character and is often, but not always, based on a bass-ostinato and written in triple metre. 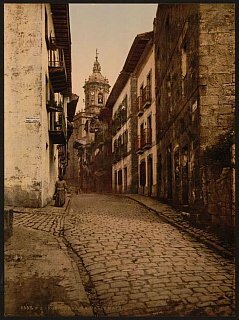 The term passacaglia (Spanish: pasacalle; French: passacaille; Italian: passacaglia, passacaglio, passagallo, passacagli, passacaglie) derives from the Spanish pasar (to walk) and calle (street). It originated in early 17th century Spain as a Spanish: 'rasgueado' (strummed) interlude between instrumentally accompanied dances or songs. Despite the form's Spanish roots (confirmed by references in Spanish literature of the period), the first written examples of passacaglias are found in an Italian source dated 1606. These pieces, as well as others from Italian sources from the beginning of the century, are simple, brief sequences of chords outlining a cadential formula. 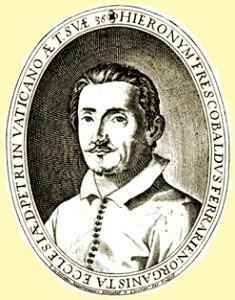 The passacaglia was redefined in late 1620s by Italian composer Girolamo Frescobaldi, who transformed it into a series of continuous variations over a bass (which itself may be varied). Later composers adopted this model, and by the nineteenth century the word came to mean a series of variations over an ostinato pattern, usually of a serious character. A similar form, the chaconne, was also first developed by Frescobaldi. The two genres are closely related, but since "composers often used the terms chaconne and passacaglia indiscriminately modern attempts to arrive at a clear distinction are arbitrary and historically unfounded". 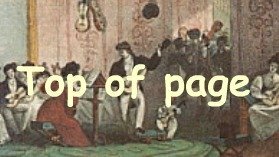 In early scholarship, attempts to formally differentiate between the historical chaconne and passacaglia were made, but researchers often came to opposite conclusions. For example, Percy Goetschius held that the chaconne is usually based on a harmonic sequence with a recurring soprano melody, and the passacaglia was formed over a ground bass pattern, whereas Clarence Lucas defined the two forms in precisely the opposite way. More recently, however, some progress has been made toward making a useful distinction for the usage of the seventeenth and early eighteenth centuries, when some composers (notably Frescobaldi and François Couperin) deliberately mixed the two genres in the same composition. One of the best known examples of the passacaglia in Western classical music is the Passacaglia and Fugue in C minor, BWV 582 for organ by Johann Sebastian Bach, which was arranged for orchestra by Ottorino Respighi. The French clavecinists, especially Louis Couperin and his nephew François Couperin, were noted for their use of the passecaille form, even though they tended to deviate from the passacaglia form, often assuming a form of recurring episodes in rondo. The last movement of George Frideric Handel's Harpsichord Suite in G minor (HWV 432) is a passacaglia which has become well known as a duo for violin and viola, arranged by the Norwegian violinist Johan Halvorsen. Passacaglias for lute have been composed by figures such as Sylvius Leopold Weiss and Robert de Visée and for baroque guitar by Santiago de Murcia and Gaspar Sanz.